Small web or IT shops specializing in services for the medical segment often subscribe to LuxSci to provide HIPAA-complaint email and/or web services to their customers. We take care of providing the services, support, and compliance. They take care of getting the customers setup, providing direct support, integrating with customers’ other services, etc. These businesses effectively resell LuxSci security services, charging their customers for our services plus the value add that they provide. Aggressive resellers like to present LuxSci’s email and web security services as their own product offering, to a large extent. This is easily accomplished with LuxSci’s Private Labeling service. How does Private Labeling work for HIPAA Resellers? LuxSci Private Labeling enables Resellers and others to progressively remove some to all references to “LuxSci” from the user interface and other places, so that the resellers’ customers see only reseller-branded services. Using a custom color scheme and header and footer HTML so that the web-based user interfaces (e.g. 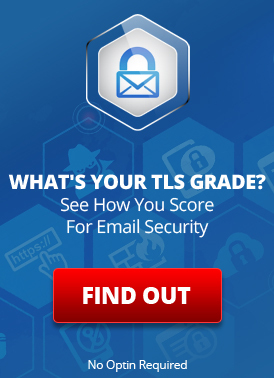 WebMail, SecureLine Escrow, and SecureSend) match the reseller’s own web sites and brand. Use SSL certificates for the Reseller’s custom domain names so that even secure connections are branded. Establish separate private labeled interfaces for separate customers of the Resellers. Each medical office could have its own look and feel, independent of all of the other Reseller’s customers. Enable Secure Message Centers where recipients of secure emails can login and review all previous messages sent to them – from a Private Labeled interface. SecureForm users can also host their own PDF forms and web forms built with LuxSci’s Form Builder on LuxSci through their own branded URLs. Brand LuxSci’s Premium Email Archival and Filtering portals with your own logos and URLs as well. Use “private” support tickets, optionally, so you can provide direct support to your customers and then escalate issues to LuxSci as necessary. Private Labeling offers Resellers a “white label” version of LuxSci’s secure email and web products so that Resellers can promote their brands and establish client loyalty. What about HIPAA Business Associate Agreements? Many of the customers of HIPAA Resellers will be HIPAA covered entities or Business Associates needing HIPAA compliance. The HIPAA Omnibus Rule requires such organizations to establish “Business Associate Agreement” contracts with any vendors that are interacting with their Protected Health Information (PHI) in any way. Omnibus establishes that covered entities and their Business Associates must establish agreements with their vendors and that their vendors must establish contracts with all other vendors that may touch the same PHI, and so on up the chain. As such, each HIPAA Reseller signs a Business Associate Agreement with LuxSci and assumes responsibility for its customers’ PHI and behavior with respect to LuxSci. The Reseller would then establish separate agreements between itself and all of its individual customers that require HIPAA compliance. And so the chain of responsibility is established. To sign up as a HIPAA Reseller, select “Order” at the top and choose one of our HIPAA packages. Then be sure to add “Reseller” as an additional option before checking out. Resellers that have established at least 3 separate customers under their accounts and who are spending at least $50/mo are eligible for discounts. This entry was posted on Monday, March 17th, 2014 at 7:00 am	and is filed under Affiliates & Resellers, Business Solutions, LuxSci Library: HIPAA. You can skip to the end and leave a response. Pinging is currently not allowed.